Don’t get pinned when it comes to pre-event publicity! Score points when you send out Versus Black Postcards to your fans in advance. 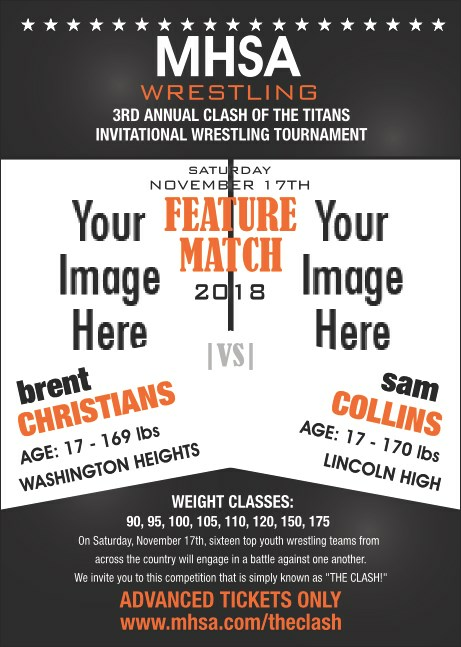 Each Postcard has a black background and room for two image uploads on the template, which allows you put pictures of the matching wrestlers front and center. TicketPrinting.com helps you gain control.